Cub Scout Pack 275 will celebrate its 70th anniversary Saturday in Ober Park to share memories and mark significant milestones for one of the island’s oldest scouting groups. Vashon’s bygone newspaper, the Island News-Record, reported Boy Scout adventures on the island as far back as 1920. A hike through Burton was followed by dinner on the beach near Lisabeula. The earliest recorded mention of island Cub Scout proceedings dates back to the summer of 1938. Pack 275, now chartered by the Sportsmen’s Club, was incorporated 10 years later. Each Cub Scout measures their progress by advancing in a series of ranks earned by fulfilling certain requirements. Much like them, the program’s century-old parent organization, Boy Scouts of America (BSA), has accomplished several recent landmarks of its own. In 2013, members of their national council voted to end restrictions against gay and lesbian youth from joining and soon put the new policy into effect. In 2015, the BSA lifted its ban on openly LGBT leaders and employees, and last year began enrolling transgender boys. The BSA later announced that girls would be invited to join the Cub Scouts — enthusiastic packs could begin admitting them as early as January. Pack 275 and its 25 Scouts, said Gogarten, have embraced the new culture — it was no different than the one they had been trying to foster all along. In 2019, signaling its new commitment to diversity, the BSA will continue under the new name Scouts BSA. Gogarten believes that it’s in good faith for the tradition of the Boy Scouts to now include “as many people as possible, who you wouldn’t see in a Norman Rockwell painting.” She said her conversations with some detractors about how the BSA will now structure family scouting has convinced them it was the right thing to do. “People who have been unsure of scouting are realizing it’s for them, too,” she said. Gogarten said her family’s involvement with scouting has been especially rewarding, allowing them more time to spend together and bond. She has three young children all under age 10, two of whom are Cub Scouts themselves. Her infant daughter has aspirations to join them. Gogarten will tell you that there are plenty of activities for all. The pack is hard at work on its current service project, harvesting surplus food from island gardens and donating what members gather to the Vashon Maury Community Food Bank. In July, scouts provided the food bank with 145 pounds of fresh kale and broccoli that were grown at Matsuda Farm. 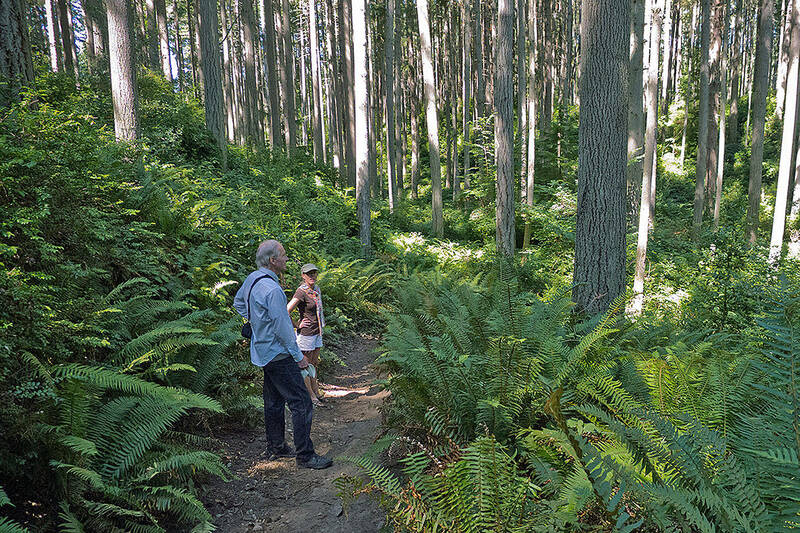 In the past, they have led food drives and cleaned up trash in island parks, with many of their outdoor activities, such as camping trips and monthly hikes, intended to promote robust environmental stewardship. With several girls now belonging to the pack, Cub Scout Master Matthew Fontaine said the decision for the BSA to welcome them was more than performative and was actually initiated from within the present membership. Fontaine said the new coed model will have a framework of single-gender dens within the individual Cub Scout pack, but that both dens will meet together for most other occasions. “In practice, I think it will be common to meet in the same space. People are figuring out how to negotiate that,” he said, commending the BSA for its efforts to update youth protection training for chaperones, and also for granting packs the autonomy to manage the change in ways that make sense for them. There is no requirement to implement a coed pack — it is up to pack leaders and scouts, in association with their charter. With a fondness for the outdoors that traces back to his own childhood, Fontaine said that especially for today’s generation of scouts, there are few other causes that advance good citizenship, participation and service. “Our culture at large is not promoting those kinds of values,” he said, adding that no matter who they are, scouts of all creeds — regardless of socioeconomic status, race, gender, sexual orientation, religious affiliation or learning aptitude — are capable of discovering what it means to be trustworthy, loyal and brave.